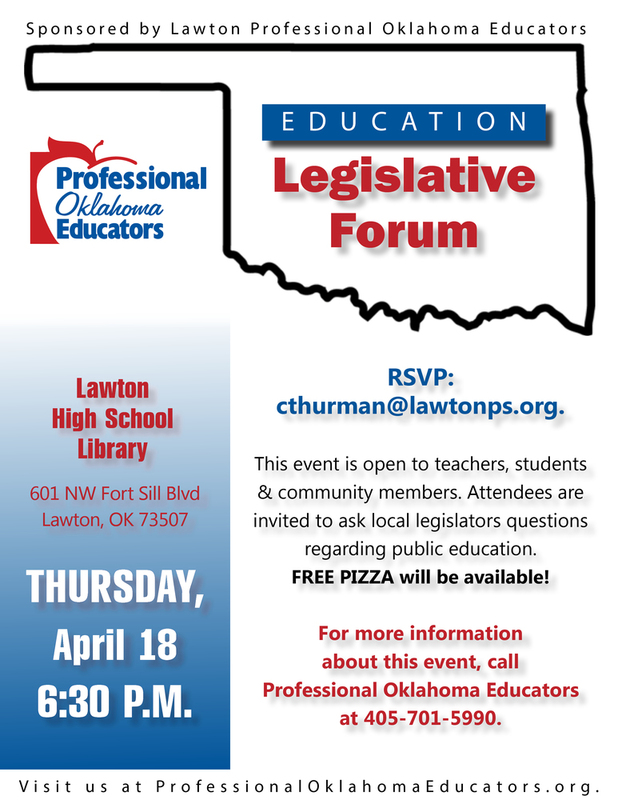 Professional Oklahoma Educators (POE) will host an Education Legislative Forum at 6:30 p.m. on Thursday, April 18, in the Lawton High School Auditorium, 601 NW Ft. Sill Blvd. POE invites teachers, students and community members to ask local legislators questions regarding public education. There will be FREE pizza. For more information, call POE at 405-701-5990.